Hello, spring! I was so delighted to throw open all the windows today that I thought I might do the same with this lovely little corner of the internet. So much has changed since we last caught up. We bought our first home, and are loving its 1940s charm. We recently adopted a dog, Percy, who puts smiles on our faces even when we're walking him in the cold, dark Michigan mornings. And I am sprinting to one significant finish line in my doctoral program, so the kitchen table is covered in books and notepads and I always seem to be drinking a cup of tea. I still miss San Francisco, but I've never felt more at home. Tell me, what have you been up to lately? Engagements, babies, books? I want to hear everything. 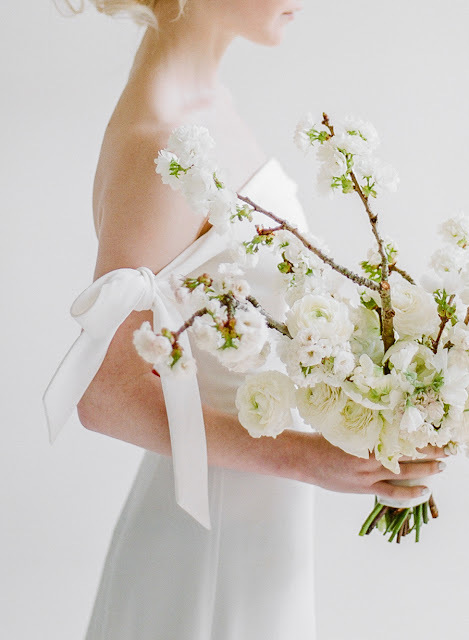 Image by Rebecca Yale Photography, bouquet by Wild Bloom Floral.